'A masterpiece of succinct analysis. 'New Statesman 'Penetrating in analysis and closely packed in thought.' 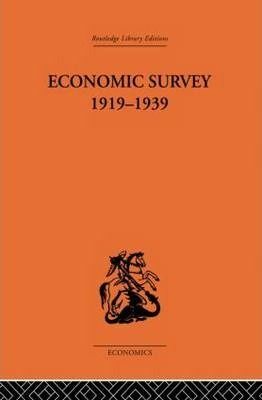 Financial Times Analysing and examining the history of the economic events of the inter-war years, this book gives the reader both a sense of perspective of the larger scene of events on an international scale, whilst introducing facts and theories. National policies of the UK, France, Germany, the USA, Japan and the former Soviet Union are discussed as are developments in international trade.